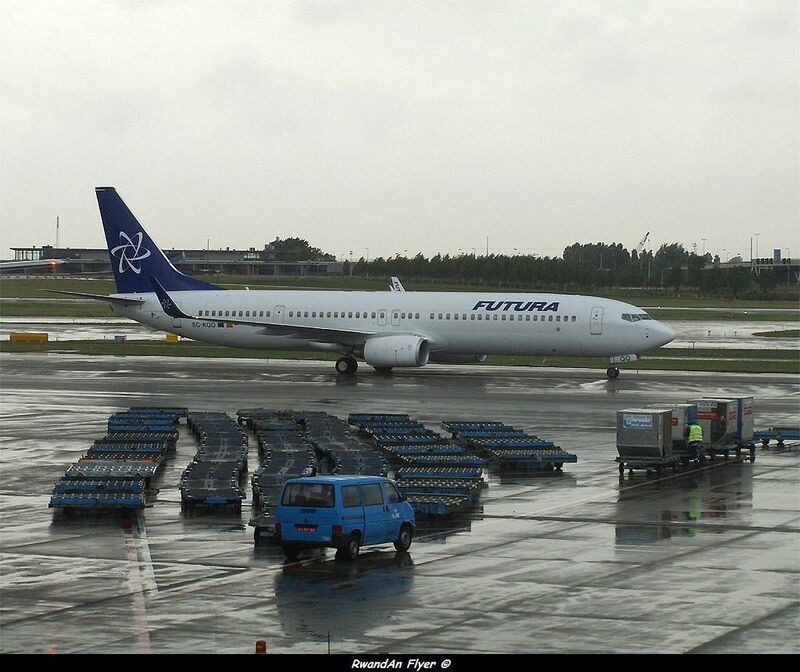 A B737-900ER of the defunct Spanish airline, Futura Airline, in July 2008 at Amsterdam. According to Amadeus (06 APR 2012), from 28 OCT 2012 Turkish Airlines will fly to Rwanda with B737-900ERs (Extended Range), instead of B737-800s. The B737-900ER has a bigger range than the B737-800. IST : Istanbul - KGL : Kigali.